Tears Again Eye Spray provides effective relief for dry eyes, and is ideal for anyone uncomfortable applying traditional eye drops. The spray is applied to closed eyelids, and the liposomes penetrate the skin of the eyelids. Do you find applying eye drops uncomfortable? 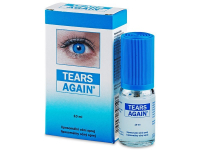 Tears Again Eye Spray delivers effective relief whilst eliminating the discomfort associated with eye drops. 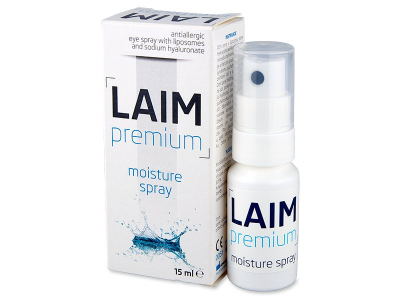 Tears Again is a liposome eye spray with vitamins A and E, designed to treat dry and irritated eyes by applying over closed eyelids. Hold approximately 10 cm away from the closed eye, and spray Tears Again 1–2 times on closed eyelids. The product can also be used while wearing eye make-up. The product contains liposomes that offer natural protection for the delicate surface of the eye. Each dose of eye spray comprises of millions of tiny liposomes, which soften and moisturise the skin of the eyelid and lower the temperature of the eye. They penetrate through the skin and the eye slit to the eye, where they provide moisture, phospholipids, essential fatty acids, oil acids and vitamin E.
Tears Again Eye Spray is suitable for use with all types of soft contact lenses and may be especially handy to provide an extra dose of moisture for those using extended-wear contact lenses. This is the same as Optrex Actimist available over the counter at all chemists. It is not made by Ocusoft and has different active ingredients. Very good eye spray. Somehow manages to not interfere with eye makeup, so that's a plus. can this be used with contact lenses? Yes, this product is fully compatible with contact lenses and is actually known to increase the wearing comfort of your lenses.